Click here to download higher res images for print as well as a pdf bio. Natalie Malan is an Illustrator with a Bachelors of Fine Art in Illustration from BYU. Traditional media is her first love, but somehow Illustrator and Photoshop also stole her heart. Her work includes licensed scrapbook paper, iron on and vinyl in Joann Stores for Cricut, two new lines of quilting cottons for Free Spirit, licensed embroidery panels in Walmart stores, art prints for Minted, two children’s books, notecards, die cuts, electronic cutting cartridges for Cricut, embossing folders for Cuttlebug, magazine illustrations, and greeting cards. Natalie currently works from her home studio in South Jordan Utah, with her four crazy and delightful kids, and husband – artist David Malan. 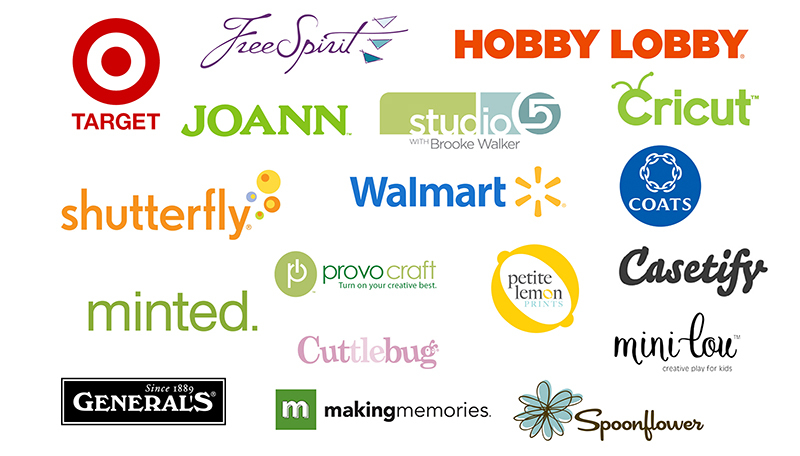 Clients include Walmart, Cricut, Target, Michaels ,General Pencil, Hobby Lobby, Free Spirit, Coats, Petite Lemon, Shutterfly, Minted, and more. 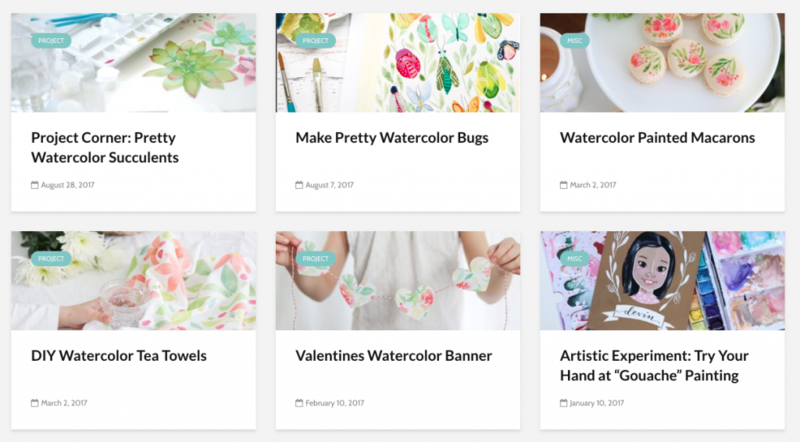 Natalie has been designing images freelance for Cricut for over a decade. She designed 36+ cartridges/image sets before starting to license her work exclusively. 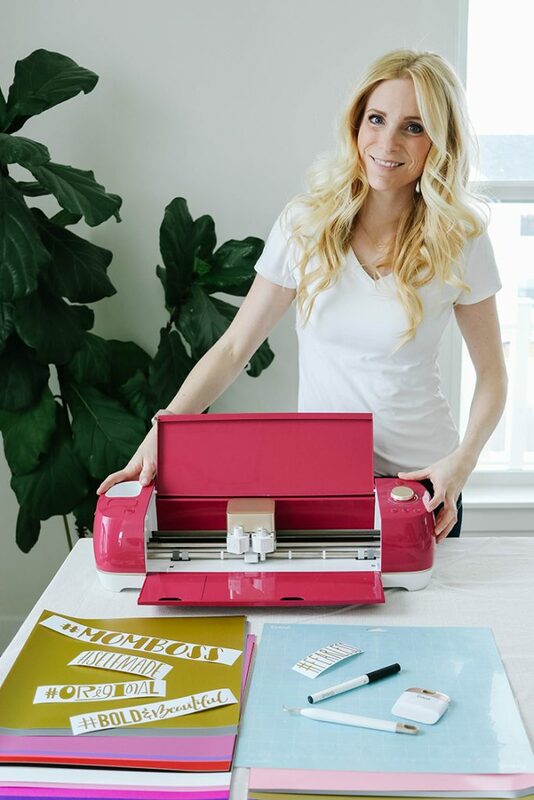 She currently designs: iron on, vinyl, project cut files, as well as paper packs for the Cricut family of machines and crafters. She loves creating cut files that look complex, but keeps attention to even the small details so that they are easy to work with and will impress all your friends. Almost nothing is more fun for her than scrolling through Instagram or Pinterest and seeing something created for a loved one with her products. 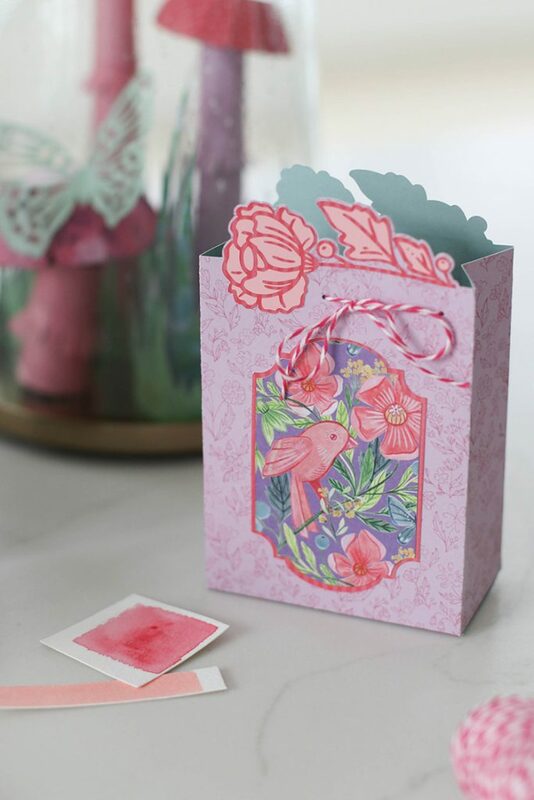 Crafting with the newest releases for the Fearless Wild Rose campaign was especially exciting to push the boundaries of the machine by creating 3D images, as well as layered iron projects and mixed paper and iron on projects. There’s something exhilarating to learning and trying new processes and these new lines are particularly suited to work together in that way for everyone from a beginning crafter all the way to an expert. 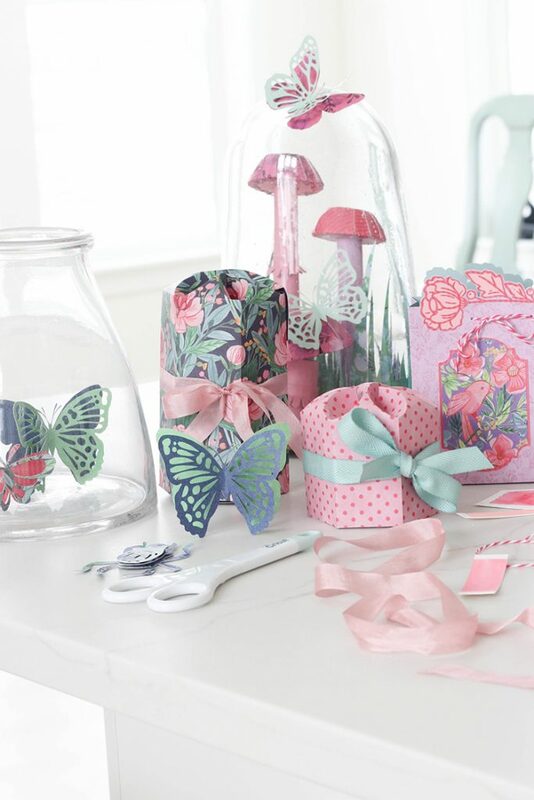 We know you will love the new lines of Paper, Vinyl, and Iron On exclusive to Joann stores! 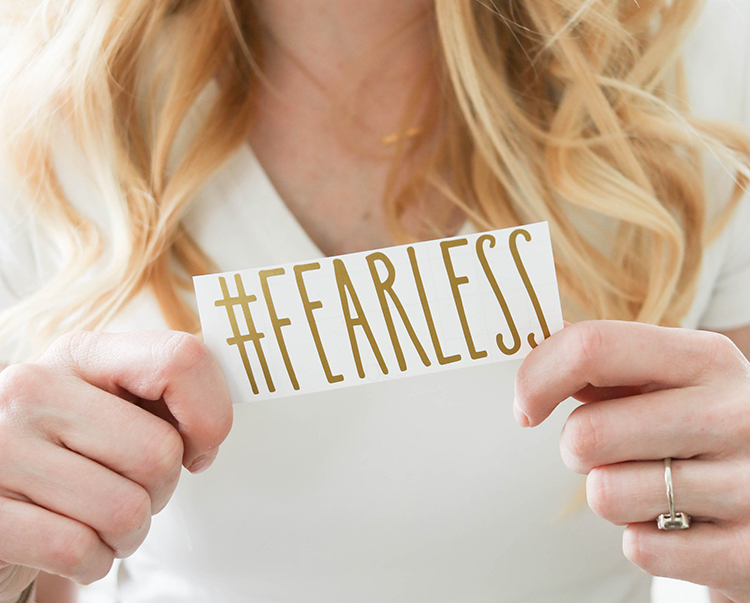 What is the #CricutWildRose Fearless Creator campaign all about? Women empowerment and Entrepreneurship Inspiration; we are celebrating the many accomplishments of women. What do you hope to accomplish as a Fearless Creator in this project? Connecting through color – We love the mix of bold pinks, fuchsia and reds mixed together to inspire people to create fearlessly. Empowering Creators of all Ages – Encouraging new and existing creators to personalize their lives. Inspiring everyone to #BeBrave and try a craft that may seem hard at first but with community we can do it! 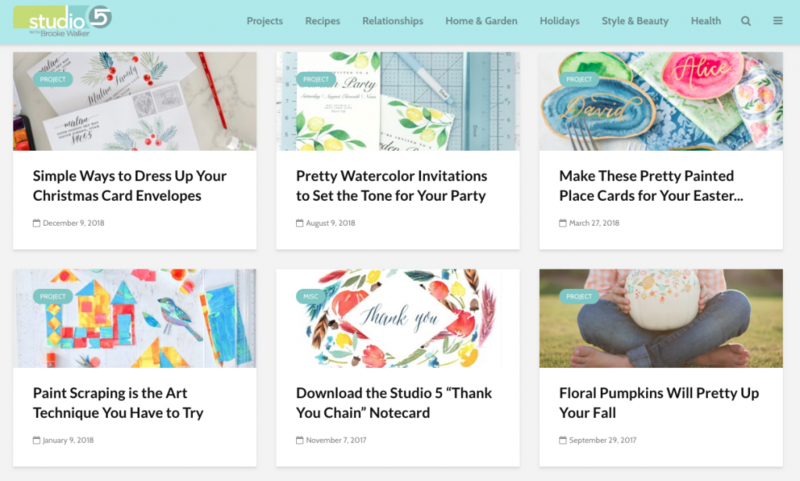 Showcase in the Cricut community – We want to see what you create! Sharing within a community has such a strong ability to encourage and inspire others. When is the line available? It’s currently available online and in Joann stores! 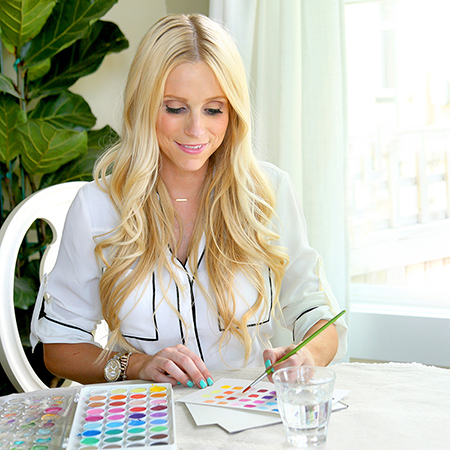 From a creative Illustrator and Designer by day to full-time mom 24/7 Natalie personifies the #CricutCreator. Natalie’s first line of quilting cottons “Crisp Petals” came out under the brand Coats in the fall of 2017. In Feb 2018 Coats announced plans to close FreeSpirit Fabrics along with their Coats collections of fabrics as well. FreeSpirit fabrics was purchased by Jaftex in Feb 2018, and continues printing quilting cottons today. Natalie’s second line of quilting cottons “Georgia Blue” is currently shipping to stores with FreeSpirit. Our Coats brand embroidery panels are currently being sold in Walmart stores nationwide as well as here on Amazon. We are very excited about the new trend toward cozy stitching with families and friends, and love how this particular product makes it easy to put away screens and spend quality time making something. Adding watercolor to the project makes the project even better for all age levels and stages of embroiderers, since the pre printed panels can be stitched as much or as little as you’d like, and still be stunning.